Hello everyone! WOW, it has been a crazy amount of time since I've blogged, I won't get into it here but expect a post soon with some exciting news...anyway jumping straight into this post - brushes are a really important part of applying makeup and its hard to progress if you don't have a decent collection. I've loved building my collection for years now, and a brand that has slowly taken over in the past two-three years is Morphe. I know they have quite the reputation on social media, especially with the bigger U.S beauty gurus and their constant sharing of money off codes etc...which has lead a lot of people to speculate if the brand is any good at all. I decided to try out one eyeshadow brush from them, since they became easily available from beautybay, two years ago and I quickly become addicted! Now I own around 17 Morphe brushes, and today I'm finally going to be reviewing each and every one in depth, so read on for the must haves and also the ones to avoid...This post is roughly split into three sections, but bear with me, something went wrong with the photography order and I don't think I have close ups of every brush (which is why it has taken me the longest time to write this up 🙄) I've labelled everything anyway, so it should hopefully be clear enough. Let's start with the five face brushes - surprisingly each of these has the green light! I use them ALL on a regular basis and have been impressed with the durability of them too. Now I have to just point out, the second brush isn't actually a Morphe one, it looked so similar when I grabbed them from my brush basket! However I do have the actual one photographed and reviewed below (and yes, it looks like an eyeshadow brush, but just trust me on this one). This is the newest brush in my collection and probably the most unusual of the bunch. It is called a small angled contour brush and I picked it up to help me improve my nose contouring. The brush isn't too big, but I did expect it to be a little smaller...however it serves it's purpose well. I can easily dip this into my favourite contouring powder and use it to neatly apply contour. It hasn't magically transformed me into a master nose contourer, I still have a way to go, however I do think that it helps. Do I think it's a must have though? No. I could definitely create a nose contour without this, but for just over a fiver I'm glad I didn't dismiss it. The fluffy brush next, I LOVE this and I think my highlighting skills were immediately enhanced when I decided to purchase this brush. I did own fan brushes and ever the sigma tapered highlight before this, however nothing really does the job as well. The size of this brush is perfect, too small for blusher, but great for highlighting all over the face and I like how it is kind of tapered, but not super precise. I think it is the natural haired bristles which makes this brush what it is, not the softest to touch but because of the texture it picks up product really well and distributes it even better. I highly recommend this to anyone looking for a new highlighting brush, it is wonderful. Also I don't think this is the super hyped up brush lots of youtubers use, I haven't purchased that one but I think its very similar! This is the first foundation buffing brush that I purchased after being absolutely smitten with the R.T buffing brush for years and years. Then of course came the beauty blender and that is a love affair which I doubt will ever end! However I did was to try a couple of different blending brushes for foundatuon as I was getting more and more bored of the RT and sometimes, certain formulas just work better with a brush. Especially foundations which have a lighter coverage, like the MUFE F&B for example. I picked up this brush and absolutely loved it straight away! It's got a flat top and is fairly large, so I find that I can quickly blend my base with no streaks and it hardly soaks up any product (something which can't be said for any beauty sponge). 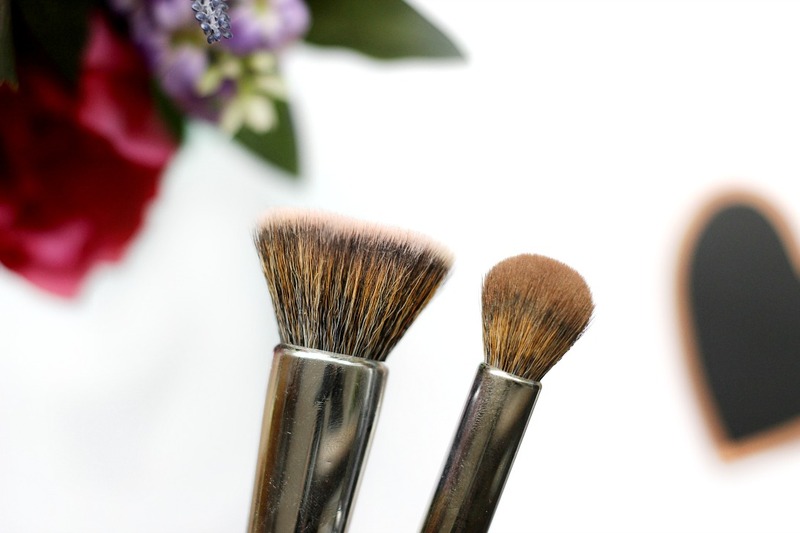 I typically like to use this brush to stipple my foundation on first and then blend it out and I am a big fan. 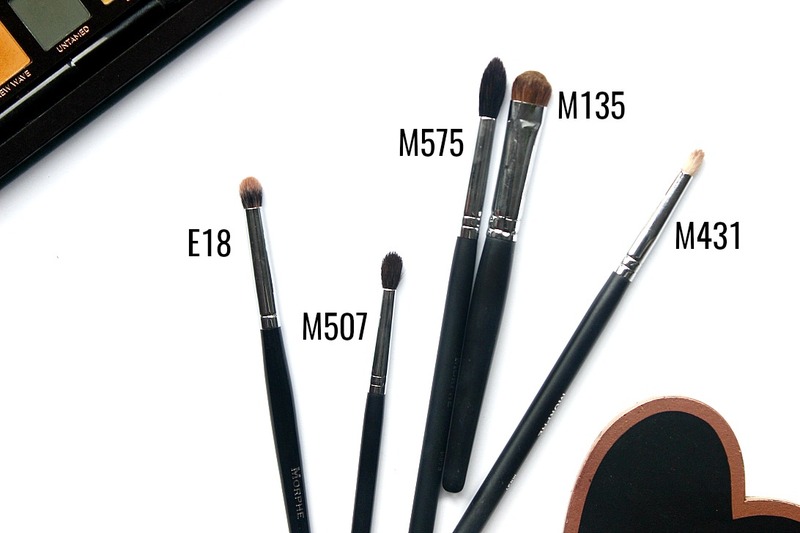 You may be wondering why such a small brush has ended up in the face brushes section, however if you’re a watcher of Wayne Goss, you will understand. 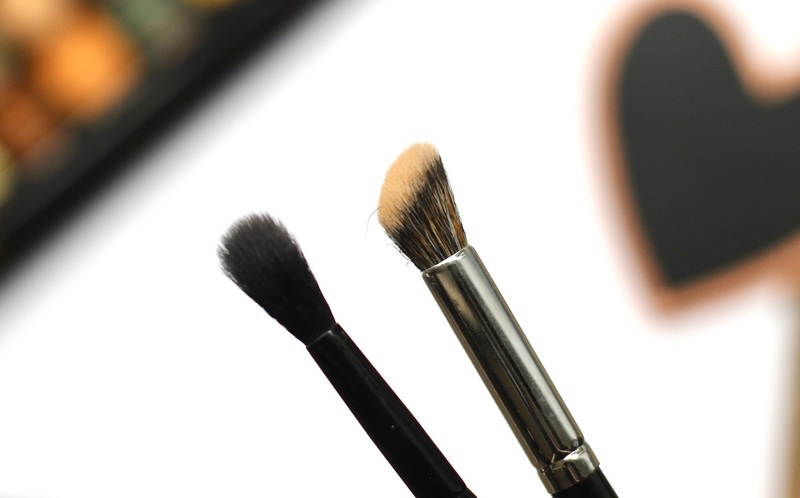 I have tried to use flat brushes to pack shadow onto the lid and for the most part they aren’t my favourite, I much prefer a denser smaller brush which picks up product better. So this little brush, labelled as a mini concealer brush, is indeed fantastic for all things concealing. I love using this to spot conceal redness around the nose and discolouration around the mouth, but mainly I have become obsessed with using it to ‘clean up the brows’ when I have the time. Honestly the first time I used it I couldn’t believe how different my whole face looked, my brows fitted so much better and they looked sharp but not too bold - VERY pulled together. I really don’t know where this brush has been all my life, but I need back ups cause I cannot risk losing it (and at this price, I can afford back ups too!). Now this brush is technically supposed to be in the second category, but I accidentally photographed it with the 421, so on we go. Unfortunately this one does not have such a glowing review, and yes its just as cheap but its one I rarely reach for. The 153 is a flat shader brush, much wider than the above and it has super soft bristles too. However it's not as good as packing colour onto the lid, as a smaller crease brush would be and that is mostly due to the size. I have medium lids, they're not super large and so packing on shadow with this would be very clumsy and messy, unless I'm going for that super basic one shadow look...and even then, I'd still have to pick up a blending brush as well as this one, which kind of defeats the whole base look, am I right? Wayne Goss dislikes flat shaders for eyeshadow and so does Charlotte Tilbury apparently, and since I purchased this brush, I totally get why. Anyways the best use I have found for this is for swatching...so not one I'm a fan of at all. These brushes are the ones that I think most beginners wouldn't think of first when they're trying to pick up some decent brushes. However, a lot of them are also the brushes that have upped my makeup game SO much, and I really don't know how I was applying shadow without them before. Again, some 5/5s and some eh ones. 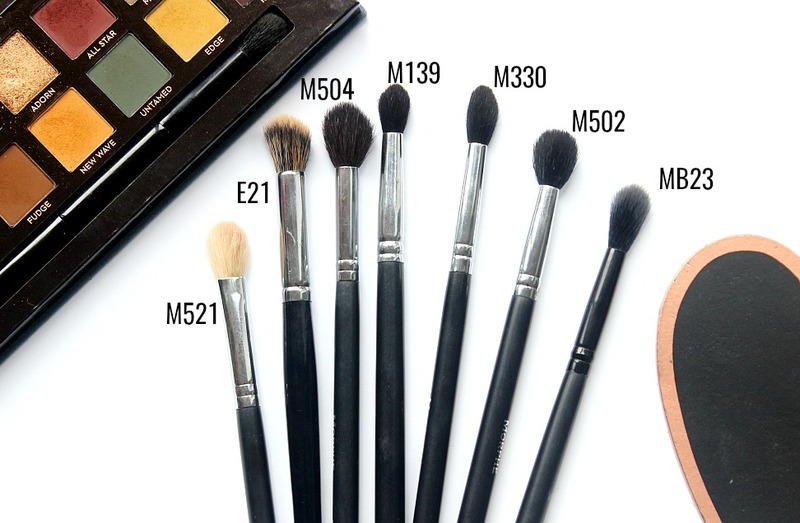 I think what Morphe has done really well, is created brushes that are affordable (more so than Zoeva and higher end brands), but also purposeful (most of them!). I've already reviewed the M153 above and that was NOT a fave, so lets move on to the rest of them. Another brush from the elite collection, this one is really useful, especially if you have a smaller lid space. I use this to pack on colours in smaller areas of the eyelid, as well as blend shades into my crease too. The unique thing about this brush, compared to the other smaller and detailed brushes in my collection is that I can actually use it to blend very well. It's not the smallest, but it is excellent at crease work and I reach for this when I want to blend a light shade under the lower lashline too. Not for a stronger colour as I prefer to use a smaller detailed brush for precise colour - however again, its super for blending out smaller areas! And if you know anything about eyeshadow, you'll agree with me that blending is key. I wish it were a little cheaper, but I use it regularly so I can't complain. I would describe this as a pencil brush and I have several uses for it, with the first being a lower lash line brush. I primarily use this with lighter brown shades, as it’s a little bigger than the usual ‘detail’ brushes, which means it can actually blend out shadow to a certain extent. The other use is for inner corner highlight, especially if you’re going to more of an obvious look - it works a treat!! 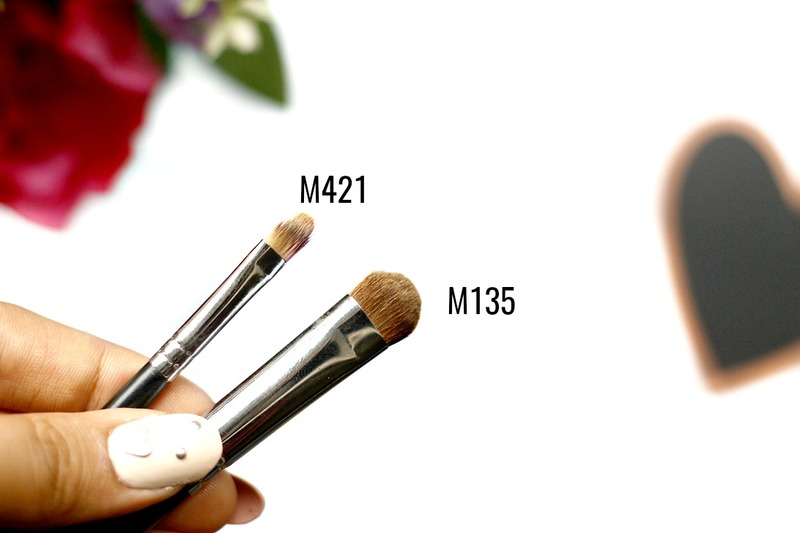 And finally for a brow bone highlight, the M431 is the perfect size. Also this brush is a great dupe for the Zoeva 230 pencil brush, which costs £9. The only difference is that the M431 is just a little smaller, which allows for more precision, so I tend to reach for the Morphe one much more often! You can see that in size, this pencil brush is more narrow than the crease one and I love the pointed end because it allows for a decent amount of precision. 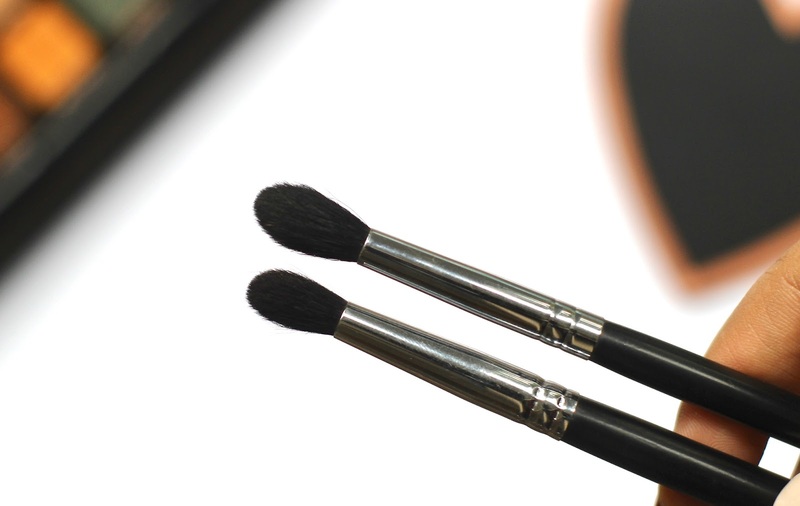 The bristles are made from goat hair and so pick up shadow very well - and its not scratchy either! One of the BEST brushes I have ever used, I love this brush SO much. Its slightly pointed and pretty small, which makes it perfect for anyone with small-medium lid space. I adore this for blending in colour, or adding specific colour to the outer/inner v or the eye and sometimes when I'm in a real rush, I use this to blend out a lighter shade under the lower lashline too. It is just the perfect size for blending or adding simple details. For example, I'll use a large fluffy brush for all over the lid and then go in with the M507 and a deeper shade into the crease, using the end to flick out the shade and add that special touch...the best £6 I could have ever spent - and I've not seen a better brush from any other brand out there. Honestly I strongly suggest you go and place this in your basket now, you will not regret it. Unfortunately this particular brush isn't one I’ve been too impressed with. On the beauty bay website, it is described as a brush that can ‘soften colour’ and it has a VERY tapered point, which is the main reason why I picked it up. However the bristles are far too long for any real blending (hence why I put it in this category). I have tried to diffuse colour out with it, but I much prefer using a smaller brush like to 507 to get a beautiful blend. I’ve also used this for adding colour to the crease, however its just a little too clumsy and difficult to manoeuvre. I wish I'd just picked up a second M507 instead (or maybe the 506! ), but hey - we live and we learn. And on to my favourites - the brushes that we need to take a look from 0-100. They are such an essential that I own several and I'm constantly using them. 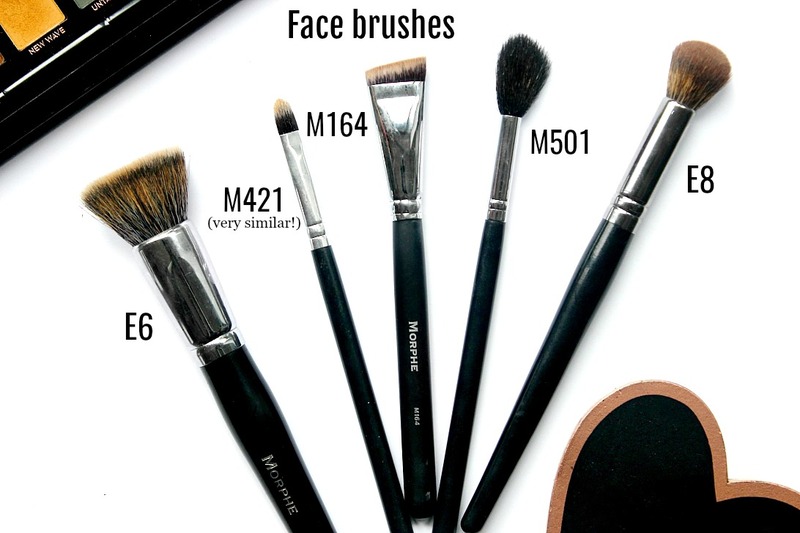 Often these are great brushes for simple looks, as well as the more intricate and there are a lot of loved brushes in this section. Now I know I just went on and on about how much I love blending brushes, but this is actually one of the ones I DON'T recommend - they can't all be awesome hah. The reason I'm not a fan is because the whole brush is quite stiff, which means that it just isn't great for blending out product. It is designed to be a shader brush, but even applying shadow with it feels too rough and harsh on the eyelid, so I don't find myself reaching for this often at all. I'm going to try and use it as a highlighter brush maybe...I'm not sure if it's just too small for that to be honest! Bottomline - I don't use this and wish I could have spent my six quid on something better. Firstly I'm very confused because this is currently nowhere to be seen on the beautybay website...I hope they are planning on bringing it back! 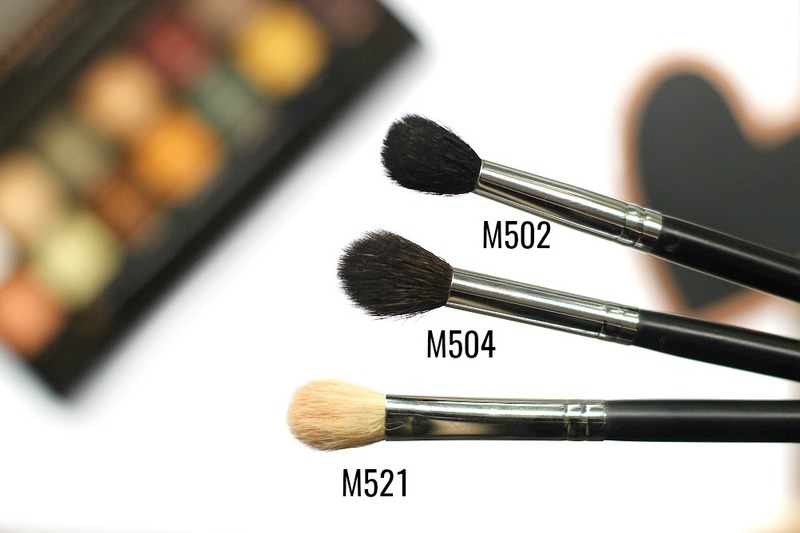 I did find it on another site, but its out of stock :( The 504 is one of my favourite super fluffy blending brushes, the bristles are the perfect length to really buff shadow out and I tend to reach for this when I am setting base down and also applying one colour all over the lid. It's a little large to be a 'one brush wonder', and if I'm ever doing a 3-4 colour look I'll always use smaller brushes alongside the M504, however this is an essential part of the mix. And for the days when I have less than 10 minutes to get ready, a bit of peach smoothie with this brush is all I need and I'm good to go! I've heard this is similar to the famous Sigma E40 and I definitely use it for the same purpose. 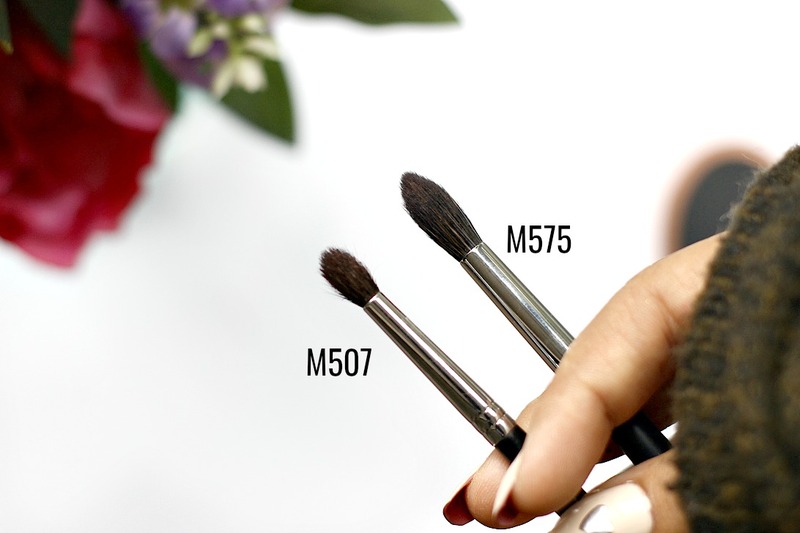 This is the little sister to the M504, it is literally the same brush but just a smaller size and I love it! Because I don't have the biggest eyelid space, I really enjoy using this whenever I'm doing a look which requires more precision, as it is perfect for blending out smaller areas. To be honest this is the best crease blending brush I own, it fits perfectly and I find myself using this so so often. I'm genuinely struggling to describe WHY its my favourite, IT JUST WORKS SOOOOO WELL! Highly highly recommend! This brush I picked up on a total whim and it was only around 3 quid when I got it (and probably due to the lower price tag! ), but it's actually one I reach for more often than not. With its longer than the norm, bristles and the soft fluffy finish I find it great for softly blending out shadows. Is it a must have? No. But it is nice to have in the collection and this is usually the brush I use when I need a clean blending brush inbetween shades. I love how soft the bristles feel on the delicate eye area and it gets the job done. Not the most versatile and not really one I'd purchase again and again, but I can't fault it. This is weird...I feel like I purchased this for more than four quid...but anyway! 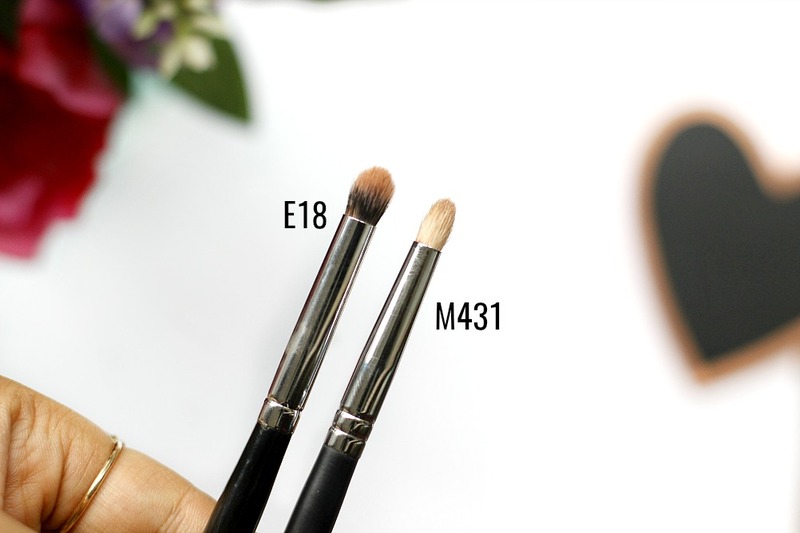 The E21 is a slanted blending brush and it has quite a large head, so I tend to reach for it when I'm setting my concealer/base on my eyelid and also for the crease shade. I think for the price, the quality is fantastic, and it is a more versatile brush as I have used this for liquid products as well as powder. If you're looking for a precision blender, then this isn't for you, but in terms of a general good brush - it ticks a lot of boxes! Moving back to more blender type of brushes, this is probably one of my all time favourite brushes in my collection and the fact that it costs the same amount as a coffee makes it just that much sweeter! The size of this brush is what makes it so fantastic, like I've mentioned before, I don't have the most eyelid space but I still love applying shadow and playing around with colour, so brushes of this size are perfection. It is great for blending out concentrated colour in small areas and for applying creases shades too. I love it and I'm waiting for it to come back into stock so I can purchase a back up! And finishing off this awfully long post with an absolute FAVOURITE - the 330 is again amazing if you have small/medium eyelid space and you're looking for a soft blending brush which has the slightest taper. 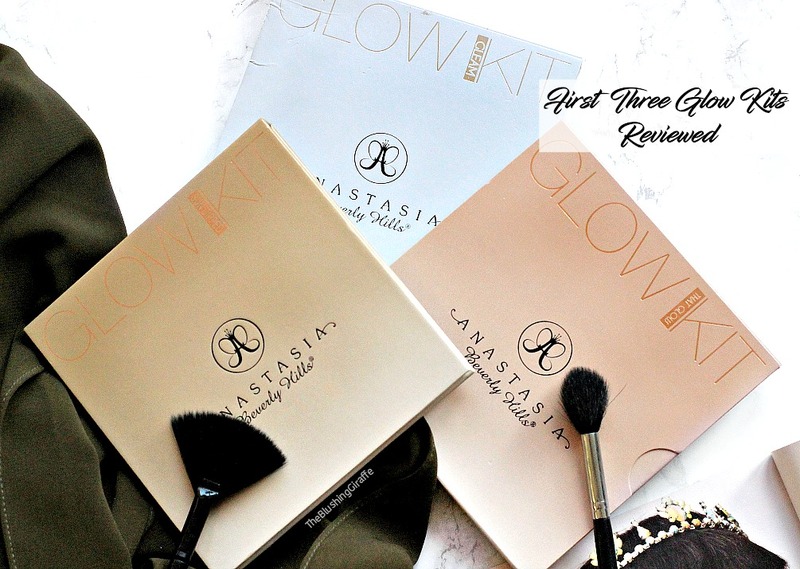 It is such good value for money, I use it almost every single time I do my makeup and that is why I actually have two of these. The versatility (and the fact that I can both apply and blend shadow with this), is what makes it even more fantastic and it is one of this 'one brush wonders'. If I HAD to only take three brushes with me travelling, this would be one of them, so I think everyone and their auntie should own at least one, because it is a total must have! 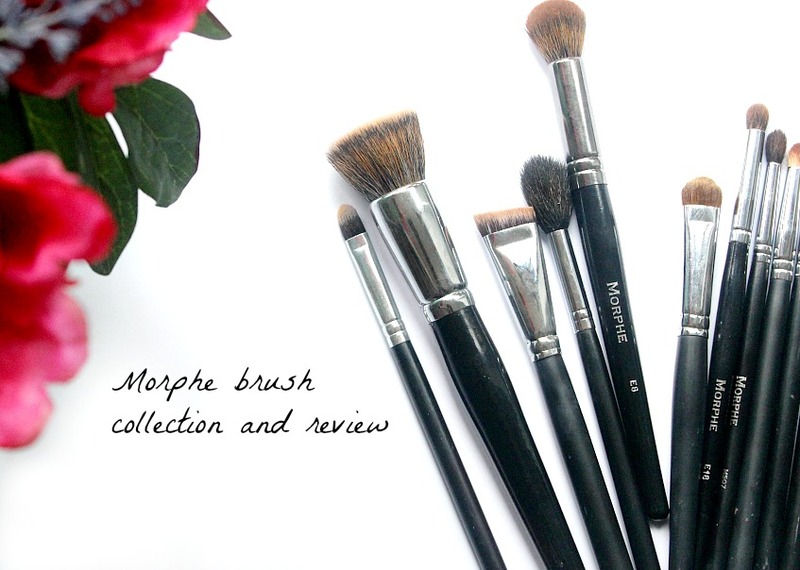 Have you tried Morphe brushes? Any recommendations?